Provide comfort for the family of Gonzala Bustamante with a meaningful gesture of sympathy. Gonzala (Solis) Bustamante, age 83, of Nixon, entered eternal rest on December 18, 2018, in La Vernia, Texas. She was born in Gonzales County, Texas, on January 10, 1935, to Manuel and Maria Tristan Solis. Gonzala was preceded in death by her parents; her husband, Willie Bustamante Sr.; a son, Rudi Bustamante Sr.; a daughter, Dorothy Bustamante; two granddaughters: Natasha Mendez and Jessica Montoya; and two sisters: Ambrosia Solis and Nancy Barron. 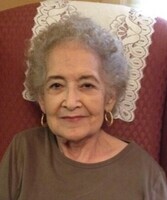 She is survived by her son, Willie Bustamante Jr. (Ruth Ann); three daughters: Alice Salinas (Carlos), Soila Koenig (Doug), and Terry Hernandez (Joseph); a brother, Manuel Solis (Linda); numerous grandchildren, great-grandchildren, nieces and nephews, as well as other loving family and many friends. Visitation will be held Thursday, December 20, 2018, from 4:00 PM – 8:00 PM at Finch Funeral Chapel in Nixon with a Rosary recited at 6:30 PM. 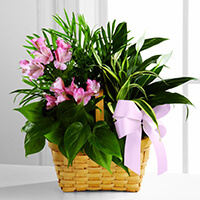 To send flowers in memory of Gonzala Bustamante (Solis), please visit our Heartfelt Sympathies Store. We encourage you to share your most beloved memories of Gonzala here, so that the family and other loved ones can always see it. You can upload cherished photographs, or share your favorite stories, and can even comment on those shared by others. Laura Turner sent flowers to the family of Gonzala Bustamante (Solis). I wish the Family much Love and Grand Ma is at peace now that she is with Grand pa. Love you all,Laura Turner and Family. Laura Turner purchased the The FTD Living Spirit Dishgarden for the family of Gonzala Bustamante.